Thinking about making the move to beautiful Southern California? Find out the cost of living across all of Los Angeles' communities. 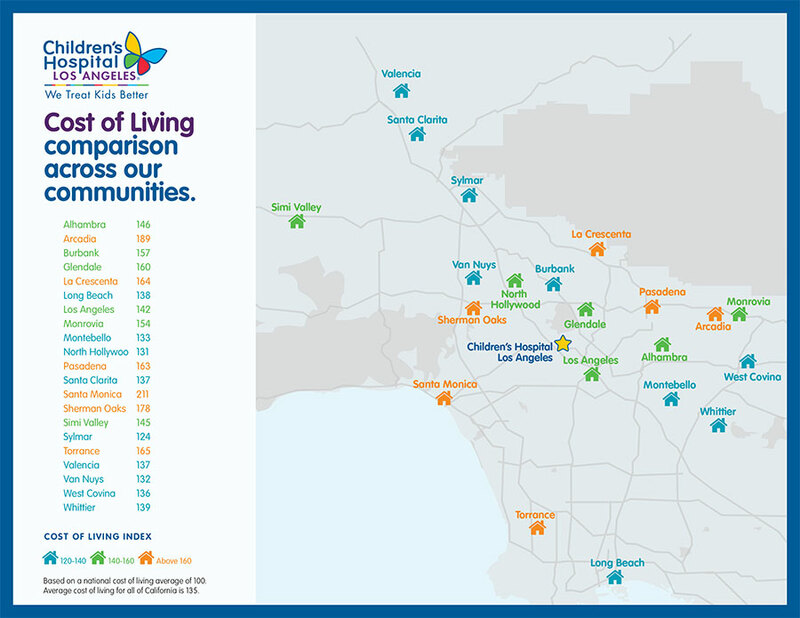 Click to expand the map below to see the top 20 communities in which our employees of Children’s Hospital Los Angeles live. Living in Los Angeles is surprisingly affordable. See how how far your income can go here.